Do you know that Magento 2 is not only a reliable platform for building online storefronts – it is also a fully featured tool for connecting multiple branches of your business together? After a few manipulations are applied, you can use Magento 2 as a hub for omnichannel retail. Furthermore, the platform makes the multi-channel approach more affordable to everyone. Nowadays when large marketplaces like Google Shopping, eBay, and Amazon rule the world, you cannot just sell your products via a single website. To cover as many buyers as possible, your goods should be represented on top marketplaces, which generates million-dollar sales every day. Furthermore, Magento 2 is a perfect platform for dropshipping! Of course, it doesn’t provide the desired functionality out of the box, but you can always get the missing features with the help of third-party tools. Ths, with drop shipping and the integration with marketplaces, you can substantially expand your business and increase sales, turning Magento 2 into a central hub where all parts of your omnichannel marketing are connected into an integral system. But how to link multiple platforms to the e-commerce store providing two-way data flow? Although it may seem that you need dozens of various extensions to establish the connection, there is nothing to be afraid of. Yes, multiple modules allow exporting data feeds to specific marketplaces. For instance, we’ve already reviewed Amasty Product Feed Extension, Xtento Product Feed Export Module, and others. They are reliable modules that provide the ability to create a comprehensive data feed following all requirements of the selected platform, but two drawbacks are common to all similar solutions. While they cover all significant marketplaces, there are always several platforms that are not supported. It is not the biggest problem since you can ask module developers to solve the issue, but the real drawback is export-only functionality. Thus, by installing one of the data feed modules, you get only a one-way connection from your Magento 2 website to the platform of your choice. As a result, it is entirely impossible to turn the e-commerce storefront into a central hub that connects all business channels together. May the developers be helpful in solving this issue as well? Unfortunately, not. The problem of all Magento 2 feed export extensions is in their nature: each export solution is designed to move data from your store – not vice versa. Therefore, you need another tool designed to perform import procedures. Note that it is impossible to move each file to Magento 2 due to strict format requirements, so the tool must support mapping; otherwise, your dreams about a central e-commerce hub on the basis of Magento 2 will remain dreams. Thus, you need two means to achieve the goal above partly, because none of them supports drop-shipping functionality. But what if there is a universal solution that combines import and export functionality? We have good news: our Improved Import & Export Magento 2 extension is designed to cover both sides of data feed management. The module allows not only to import/export information necessary for online marketplaces and Magento 2, but it also provides the ability to apply mapping, or even use presets that modify feed data according to the requirements of each platform. As a result, you can fully automate the synchronization paying attention to other important aspects of your business. Let’s take a look at core features of Improved Import & Export related to data feed management. Fully automated feed generation and export: with Improved Import & Export you won’t spend much time on feed generation routine. Just select the necessary preset, connect data output to the marketplace, and create the export schedule. Next, the extension will do everything automatically. At the same time, it is possible to run export asynchronously whenever you need. Fully automated data import: the same principle works for data import from marketplaces and other external sources. It is only necessary to create a schedule and provide details about the connection. Asynchronous import is supported as well. 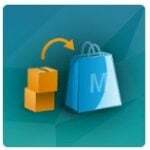 Unlimited product feeds: the Improved Import Export Magento 2 extension allows connecting your store to any marketplace, and you can create an infinite number of import/export templates. All data feed types are supported: the module supports not only the standard CSV, TXT, and XML, but also Google Docs and Excel files. Thus, you will never face any limits when it comes to file formats of export/import. All product types are supported: seamlessly move your simple, configurable, grouped, bundle, and custom product types to any marketplace and get the appropriate data back. Turn your Magento 2 store into the heart of your business. Diversity of feeds: the Improved Import Export extension lets you create data feeds for multiple stores, currencies, and VAT rates. If you trade worldwide, it’s a must-have feature that provides the ability to cope with numerous local requirements. Full support for attributes: you can import/export any Magento attribute within the feed, so all custom features will be preserved and spread through your omnichannel business. Furthermore, if any attribute, attribute set, or attribute value is absent in your Magento 2 database, it will be created automatically during the import procedure. Flexible filters: it is not a secret that shopping engines don’t need all information about your products, and with the Improved Import Export module you can provide them only with the necessary data. The extension offers robust filters that allow exporting only the required information. Untar, unzip: and if a marketplace provides data as a zip or tar archive, our module will easily unpack it automatically. Tier prices support: you no longer have to create tier prices manually after your product feed was exported to a shopping engine. The Improved Import & Export Magento 2 extension allows adding this information to the feed. Export to local/remote destinations: supported sources include FTP, SFTP, URL, and Dropbox. More sources will be added soon. Also, note that our extension partly introduces the iPaaS approach to Magento 2 integration. 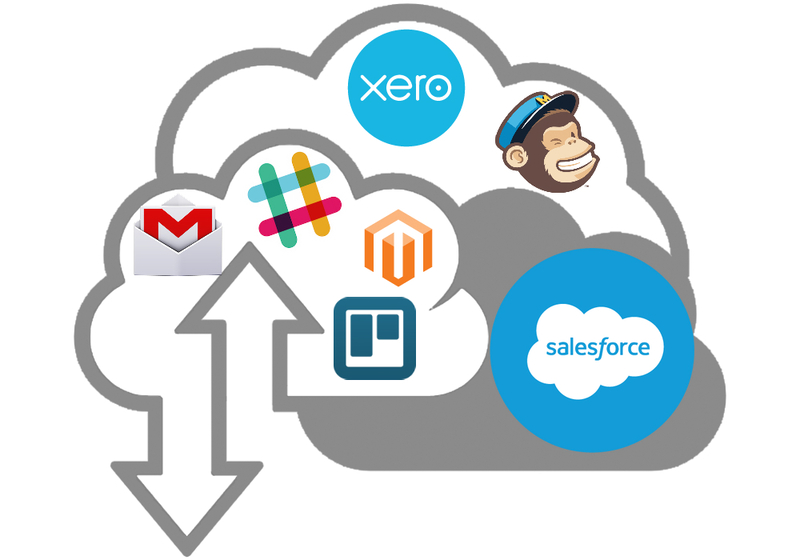 Since it allows using Dropbox as a source of data files, the cloud technology is used allowing to synchronize two platforms. The old enterprise service bus (ESB) approach tends to become less popular within the next few years. And the Integration Platform as a Service approach is its most possible replacement. Unlike ESB, the iPaaS model requires neither on-premises hardware nor middleware or additional software. Tools are delivered right from the public cloud. As for our extension, it should be installed in a more traditional way. Besides, it is necessary to configure every integration manually. Indeed, you have to do the same routine in case of iPaaS but on the cloud platform website. Our extension lets you implement all the configurations right in the Magento 2 backend in a conventional manner. For further information about iPaas services, follow this link: Magento 2 iPaaS Systems & Cloud Automation Platforms. Now, let’s focus on several import features of Improved Import & Export. We have developed a unique technology which easily connects Magento 2 to marketplaces via API. In case API is not available, our extension crawls products data more traditionally. The information is moved to Google Sheet and then to your e-commerce store. Thus, you can not only run import seamlessly, but also connect any drop shipping solution to Magento 2 Open Source, Commercial, or Cloud Edition. The tool allows moving products, modifying their prices or other data, and selling them everywhere. 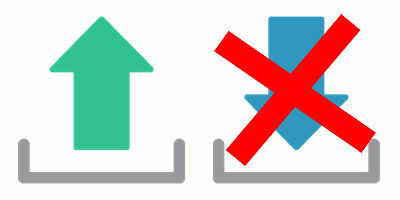 Due to the two-way connection, both product data and stocks are synced automatically and always up to date! As for drop shipping, it may be implemented due to the connection between Magento 2 and Oberlo. The system allows you to import dropshipped products directly into the Magento 2 store and ship them directly to your customers. The service already enables thousands of people to run their dropshipping stores. But let’s return to our mutton. Below, you can find a list of shopping engines and online marketplaces that can be easily connected to Magento 2 with the help of Improved Import & Export. 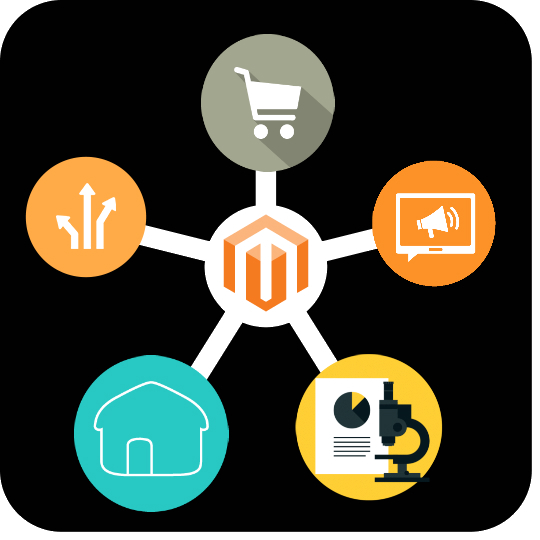 Install our module and you will easily integrate Magento 2 with the following services. Google Shopping – is a Google service which allows users to search for products on online shopping websites comparing prices between different vendors. It offers a paid model where merchants should pay the company to list their products on the service; Magento 2 Google Shopping Integration. Google Product Ratings – a service that shows star ratings on Shopping ads and product listings to help shoppers with purchase decisions. Magento 2 Product Ratings Integration. eBay – one of the most popular online marketplaces all over the world; Magento 2 eBay Integration. Amazon Marketplace – an e-commerce platform that enables third-party sellers to sell new or used products on a fixed-price online marketplace. Magento 2 Amazon Integration. Amazon Product Ads – allows connecting your brand to Amazon customers wherever they share, read, listen, purchase, research and download online. Premium ad solutions for products that are not sold on Amazon.Magento 2 Amazon Integration. Become – an online shopping search engine and marketing services in Europe, the United States, and Japan. Magento 2 Become Integration. Bing Product Ads – product ads for Bing Shopping Campaigns. The solution allows trading worldwide or focusing on cities, counties, and areas within a certain distance from your business. Magento 2 Bing Ads Integration. Bizrate – provides consumers with ratings and reviews from verified buyers that help to inform their purchase decisions (Bizrate website + major search engines); provides businesses with customer satisfaction insights (Bizrate Insights). Magento 2 Bizrate Integration. Rakuten – a Japanese e-commerce company with the largest B2B2C e-commerce platform in Japan and among the world’s largest by sales. Magento 2 Rakuten Integration. AlleSchuhe – a big e-commerce marketplace in Germany. Magento 2 AlleShuhe.de Integration. AllYouNeed – another huge marketplace that operates in Germany; powered by DHL. Magento 2 AllYouNeed Integration. Adform – a provider of technologies that connect advertisers and agencies with publishers enabling digital advertising across all devices. Magento 2 Adform Integration. Adtarget.me – boosts sales by connecting local ad networks and global ad exchanges with advanced personalized retargeting technology. Magento 2 AdTarget Integration. Belboon – a leading affiliate marketing networks in Germany with 1800 programs, publishers from 50 counties, and more than one and a half million transactions per month. Magento 2 Belboon Integration. Beslist.nl – the largest online shopping center in the Netherlands where you can compare and order carefree, safe and well-organized products. Magento 2 Beslist.nl Integration. Billiger.de – Germany’s best-known and most used price comparison engine with more than 50 million reviews for over 2 million products. Magento 2 Billiger.de Integration. BOL.com – a marketplace that operates in the Netherlands and Belgium. Magento 2 Bol.com Integration. Commission Junction (CJ) – an online advertising company operating in the affiliate marketing industry worldwide. Magento 2 Commission Junction Integration. Choozen – an ultimate shopping engine for the EU countries. Magento 2 Choozen.co.uk Integration. Criteo – a personalized retargeting company aimed at working with Internet retailers. Magento 2 Criteo Integration. DaWanda – a marketplace with unique, handmade and special products from designers and creatives. Magento 2 DaWanda Integration. Facebook – social network as an advertising platform; makes it easy to find the right people, capture their attention and get results. Magento 2 Facebook Ads Integration. Fishpond – New Zealand’s biggest online store. Magento 2 Fishpond Integration. Fruugo – an online marketplace with all sorts of products sold by Europe’s best online retailers. Magento 2 Fruugo Integration. Geizhals – another European shopping platform that operates in Austria. Magento 2 Geizhals Integration. GetPrice – an Australian price comparison engine. Magento 2 Getprice Integration. Guenstiger.de – with this price comparison engine you will find offers from over 2,000 online retailers; the portfolio ranges from consumer electronics to household, leisure, and sports products and car accessories. Magento 2 Guenstiger.de Integration. Idealo – a price comparison service from Germany. Magento 2 Idealo Integration. Junglee.com – an online shopping service by Amazon designed to search for products from India. Magento 2 Junglee Integration. Kieskeurig – the reliable marketplace in the Nederlands. Magento 2 Kieskeurig Integration. LadenZeile – a shopping platform with a huge selection of lifestyle products in Germany: fashion, shoes, bags, jewelry, watches, furniture. Magento 2 LadenZeile Integration. Kelkoo (LeGuide) – an e-commerce marketing platform that delivers highly converting traffic to merchants and monetization opportunities to publishers and a shopping search engine. Magento 2 Kelkoo Integration. Monetate – an American software company that provides 1-to-1 personalization solutions for online retailers. Magento 2 Monetate Integration. MyShopping.com.au – an Australian comparison shopping engine that collects information on products and their prices from thousands of online stores and compiles the data in a single catalog. Magento 2 MyShopping Integration. Nextag – an independent price comparison service oriented towards products, travel, and education. Magento 2 Nextag Integration. Partner-Ads – a Danish affiliate network where affiliate partners can earn money by displaying advertisers who get more sales, leads, and signups. Magento 2 Partner-Ads Integration. Pikengo – another price comparison engine that offers online shopping at the best price. Operates in Germany, Italy, France, and Spane. Magento 2 Pikengo Integration. Polyvore – the web’s largest community of tastemakers created to set trends around the world. The platform allows discovering the hottest brands, trends, products, and looks. Magento 2 Polyvore Integration. Preisroboter – price comparison engine with more than 42 million products. Magento 2 Preisroboter Integration. Pagineprezzi – all offers at the best prices with the Italian price comparison engine. Magento 2 Pagineprezzi Integration. PriceGrabber – a price comparison engine and distributed content service. Magento 2 PriceGrabber Integration. PriceRunner – a price comparison service from Sweden. Magento 2 PriceRunner Integration. PriceSpy – a platform for comparing prices; operates in Finland, France, Ireland, Italy, New Zealand, Norway, Sweden, and United Kingdom. Magento 2 PriceSpy Integration. Prisguide – compare prices and products from more than 350 online stores. Magento 2 Prisguiden Integration. Prisjakt – a price comparison platform from Sweden. Magento 2 Prisjak Integration. Singlefeed – a platform for delivering optimized data feeds to such shopping engines as Google Shopping, NexTag, Shopzilla, etc. Magento 2 SingleFeed Integration. ShareASale – an affiliate marketing network from the US. Magento 2 ShareASale Integration. ShopAlike – an e-commerce platform with a wide selection of items in the following categories clothing, footwear, furniture, etc. Operates in several European countries. Magento 2 ShopAlike Integration. ShopCost – a price comparison site from Canada where you can compare prices from 2500 e-commerce stores. Magento 2 ShopCost Integration. Shopping24 – a pioneer in the fields of product search engines, shopping portals and white label solutions for retailers, publishers and advertisers. Magento 2 Shopping24 Integration. Schottenland – a price comparison platform from Germany with the fastest way to the lowest price. Magento 2 Schottenland Integration. ShopMania – shopping comparison in the US. Magento 2 ShopMania Connector. Shopwahl – an online shopping platform with more than 13,000 shops that deliver to Germany. Magento 2 ShopWahl Integration. Shopprice – a shopping network with 4000 merchant and 10 million products. Magento 2 ShopPrice Integration. Shopzilla – compare prices and discover the best deals in many categories. Magento 2 Shopzilla Integration. SoLebIch – a shopping platform with various interior accessories which features thousands of images, ideas, and products to make a home a nicer place. Magento 2 SoLebIch Integration. Skinflint – a price comparison platform for electronics, software, home & garden, sports in the UK. Magento 2 Skinflint Integration. Stylight – price comparison for fashion and shoes. Magento 2 Stylight Integration. SuperClix – German affiliate network with more than 500 programs. Magento 2 SuperClix Integration. TopPreise – a price comparison engine from Switzerland. TradeTracker – an affiliate marketing platform for both advertisers and publishers. Magento 2 TradeTracker Integration. Tradedoubler – performance marketing solutions for advertisers, agencies, and publishers. Magento 2 Tradedoubler Integration. TrovaPrezzi – a price comparison and search engine from Italy. Magento 2 TrovaPrezzi Integration. Twenga – an online price comparison engine from France with a large selection of products. Magento 2 Twenga Integration. Webgains – a performance marketing company with the focus on driving sales right off the page. Magento 2 Webgains Integration. Yandex Market – a popular online marketplace from Russia. Magento 2 Yandex Market Connector. Yatego – an online shopping marketplace with 7,000+ verified retailers and 5+ million products. Magento 2 Yatego Integration. Priceme.co.nz – NZ’s largest comparison shopping site. Magento 2 PriceMe I.
Sears.com – an American chain of department stores and an online marketplace. Magento 2 Sears Integration. Shopbot Business – a shopping comparison website that operates worldwide. Magento 2 Shopbot Integration. Tmall Global – the largest B2C retail platform in Asia. Magento 2 Tmall Integration. Lazada – online marketplace presented in Indonesia, the Philippines, Malaysia, Singapore, Vietnam, and Thailand. Magento 2 Lazada Integration. Flipkart – the biggest online store in India. Magento 2 Flipkart Integration. Coupang – an e-commerce marketplace from South Korea. Magento 2 Coupang Integration. Snapdeal – another online shopping site from India. Magento 2 Snapdeal Integration. Zalora – an e-commerce platform that operates in several South East Asian countries. Magento 2 Zalora Integration. The following section of the article contains manufacturers and providers that offer drop shipping services. Due to the extended flexibility of the Improved Import & Export Magento 2 extension, you can easily leverage the Magento 2 drop shipping integration. Just choose a platform that suits your business model. We will add new platforms on a regular basis. ASI is a provider of IT solutions and value-add services that offers more than 20k of the most in-demand products from over 150 product lines. Magento 2 ASI Integration. AZ Importer is one of the major importers and wholesalers of RC toys. Magento 2 AZ Importer Integration. Allure Lingerie is a drop shipper and manufacturer of high-quality lingerie and accessories. Magento 2 Allure Lingerie Integration. Alpha Imports offers the largest possible inventory of jewelry products and accessories. Magento 2 Alpha Imports Integration. Amzer is a drop shipping platform with mobile accessories. Magento 2 Amzer Integration. Arett – a leading provider of the garden and outdoor living supplies. Magento 2 Arett Integration. Ashley Furniture – a leading US provider of furniture. Magento 2 Ashley Furniture Integration. Asia Fashion Wholesale – one of the most significant drop shipping platforms specialized in Asian fashion. Magento 2 Asia Fashion Wholesale Integration. Banggood Magento 2 Integration – connect your e-commerce website to the popular platform and leverage its user-friendly drop shipping conditions. And you can easily connect your Magento 2 website to all these e-commerce platforms and services with the help of the Improved Import & Export extension. There is no need to install various third-party modules developed for one or several marketplaces. Actually, you only need Firebear’s tool with the appropriate presets, and the two-way connection will be easily established between the selected third-party platforms and your Magento 2 storefront.